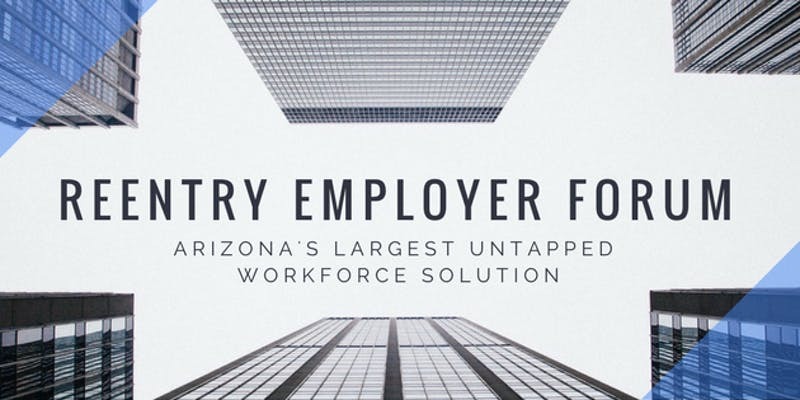 Register for the 2nd annual Reentry Employer Forum taking place on May 6 at Phoenix College! Learn from guest speakers, including local employers, about the benefits of hiring qualified candidates who have background barriers to employment. This forum will also feature Governor Doug Ducey and Arizona Cardinals CEO Michael Bidwill. This FREE event has limited seating, so sign up today!